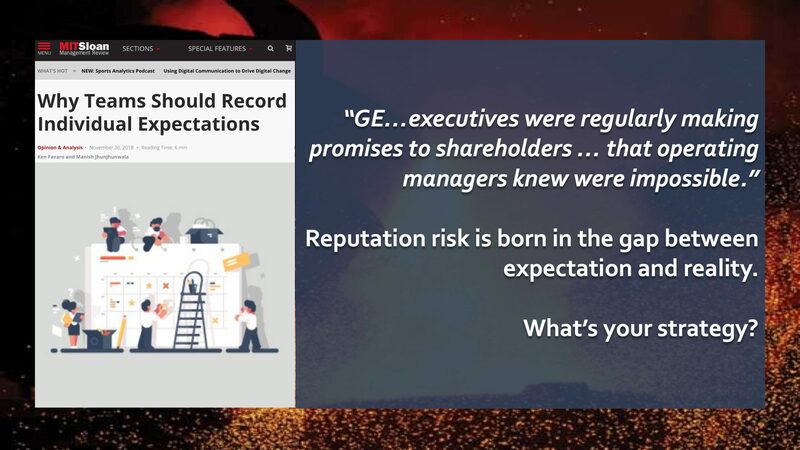 GE ‘s “culture…disdained bad news [and] contributed to overoptimistic forecasts and botched strategies (as they were ignorant to) the insights and expectations of its employees closer to the ground. Reputation risk is born in the gap between expectation and reality. Risk management, risk financing in insurance captives, and risk transfer through reputation insurances comprise the constituent elements of a comprehensive solution. What’s your strategy?